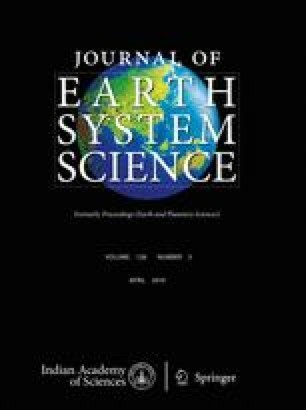 This study focuses on the determination of the near-surface tectonic features in the eastern part of the Gulf of Saros, a highly active seismic region within the North Anatolian Fault Zone. Approximately 350-km-line high-resolution seismic data were acquired to understand the active tectonic setting of the inner side of the gulf. The Ganos Fault, which generated the 9 August 1912 earthquake (Mw = 7.3) in western Turkey, enters into the Gulf of Saros from the east, cuts the southern margin of the gulf forming a trough which becomes broader and deeper westward. The seismic data reveal that the fault is not made up of a single segment or a pair of border faults bounding the trough. According to the seismic images of the fault segments, however, the emanating earthquake energy will possibly be carried by two different faults; namely the Ganos and Saros segments. These fault segments will be presented first in this paper in detail from new collected seismic data at the inner part of the gulf, and will be used to help a new tectonic model that explains how the Ganos segment controls the northern margin of the trough while the Saros segment controls the central part of the main trough. The latter is responsible from the development of an active basin and it forms the sudden deepening observed on the trough. This work was supported by the Scientific Research Projects Coordination Unit of Istanbul University, project numbers YADOP-51794 and BEK-2017-24925. The author also appreciates the help that Sinan Demirel and Özkan Çamurcu gave during marine data acquisition, and the contributions of Bedri Alpar and Hakan Alp to data interpretation. Amante C and Eakins B W 2009 ETOPO1 1 arc-minute global relief model: Procedures, data sources and analysis; NOAA Technical Memorandum NESDIS NGDC-24, National Geophysical Data Center, NOAA, https://doi.org/10.7289/V5C8276M.